If you are setting up a new web server or another device that’s going to be connected to the internet and you want to put it through its paces before it’s live, or if you’re having trouble with spyware and adware networks, there’s an invisible file on your Mac that can help. It’s called the hosts file, and this is how to use it. When you type in the domain name of a web site you want to visit there’s a lot happening behind the scenes. Every web site, every service, almost every device connected to the Internet has a unique numeric address that tells all the other devices where it is – its TCP/IP address. The Domain Name System (DNS) translates those numeric addresses into something a bit more recognizable and memorable to humans, like, “www.example.com” for example. The Domain Name System and its associated cache is your Mac’s standard way of knowing how to get to where it’s going on the Internet, but there’s another file that can be very useful. It’s called the Hosts file, and it can be used to override the default DNS cached information and following requests. There are some practical reasons for why you’d want to use the Hosts file instead of just letting DNS do its thing. Let’s say you’re testing a development server you’re about to deploy, and you’d like to use its domain name instead of the machine’s specific IP address. 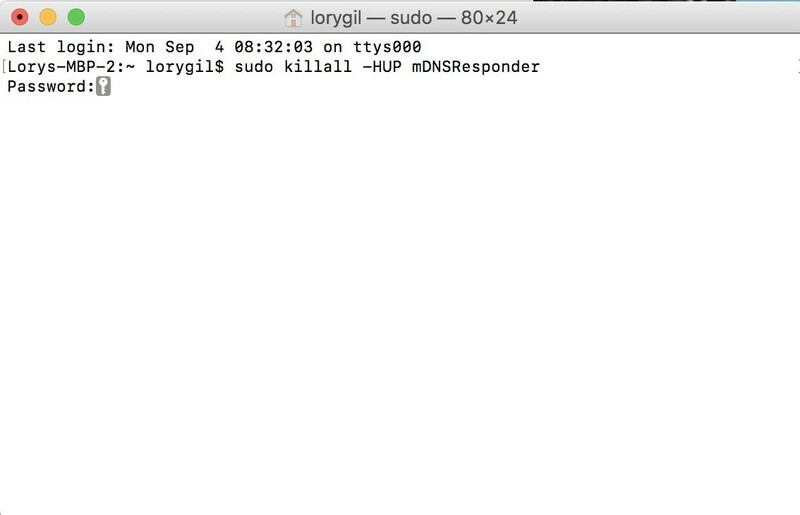 Before the system’s online and accessible to anyone using DNS, you can use the hosts file instead: enter the machine’s IP address and when you use that domain name, your Mac will go to that device instead. Basically, the hosts file do the same operation we would see on Windows and Linux modifying the same file on those systems. You’ll need to know the IP address of the device you’d like to send your Mac to, or the domain names you’re trying to keep your Mac away from. 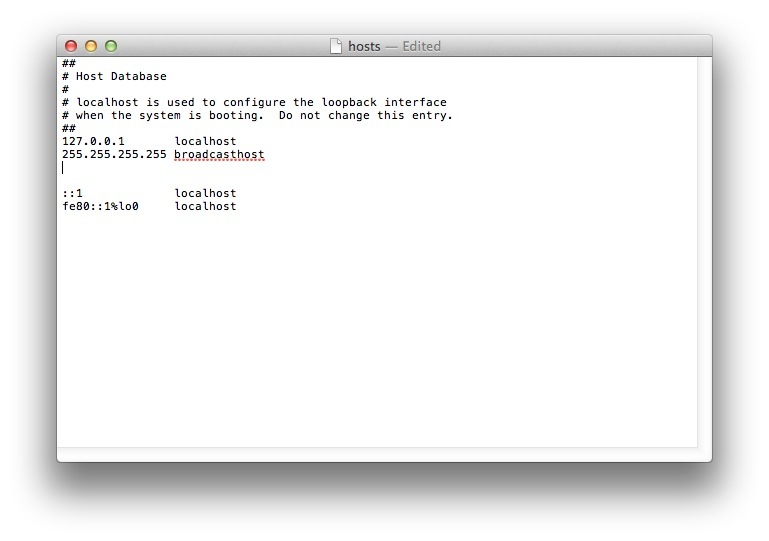 The best way to work with the Hosts file is using the Terminal application found in your Mac’s Utilities folder. 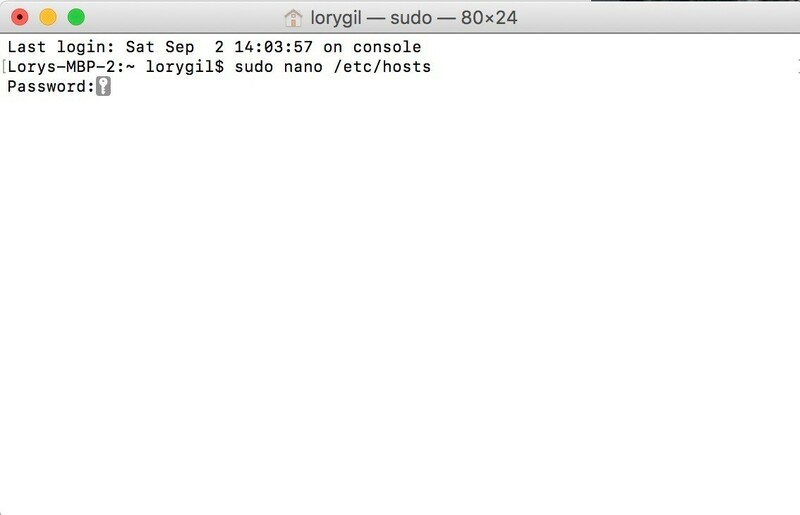 You can search for Terminal using Spotlight or by selecting it in Finder. Select Applications from the sidebar. Now double-click on Utilities and then double-click on Terminal. If you go to /etc/hosts and open it using Finder, simply double-clicking on it, it will display the file’s contents in TextEdit (or the text editor of your choice). By default, the hosts file is relatively simple. It contains a number of lines of descriptive text which are “commented out” with the pound or number sign (#). For each line, any text after the pound sign is ignored by the computer, making it a good way to add notes and descriptions to your files. It also contains default IP values for localhost and broadcasthost. To edit the file, you will add your own lines after broadcasthost. That’ll map it back to your Mac (localhost). Even if your Mac is assigned a different IP address by its router, 127.0.0.1 defaults to the local machine thanks to the default settings in that hose file. You can add as many entries to the hosts file as you wish by entering new mappings on each line. Once you’ve made your desired changes to the hosts file, save it in its current location on the Desktop. Then, drag and drop, if using Finder , the hosts file from your Desktop back to its original location at /etc.